Do you know that your kid sometimes test you intentionally to see how strict you are about his or her negative behavior? Yes, they do. The following four points will explain how they go about these things. Your child wants to know your reaction when he or she has done something wrong. Your kid wants to know whether you would be firm to correct him or her. He or she wants to observe your approach to her mistakes, knowing that you very much love him or her. In fact, kids deliberately adopt this attitude to check your position on indiscipline. If you are the one who can’t put your feet down to ensure the right thing is done, your child would know and he or she will take advantage of this weakness of yours to his or her own peril. Many parents out of love for their kids end up destroying their future. My cherished and concerned parents, do not be overtaken by love and sweep the wrong things he or she does under the carpet. You kid is just testing your position on indiscipline, knowing that you wouldn’t like to see him or her crying. They would look intentionally at your face to touch your soft spot. Your kids really want to see you disciplining them so that they can put up the right behavior. Don’t just assume; they are too young to be disciplined. If he or she knows that you have no room for indiscipline, he or she will put a stop to deliberate negative behaviour. THEY DELIBERATELY DISORGANIZED THINGS AT HOME. Yes, I know they do some of this stuff deliberately to provoke you. My son, Edwin never stops destroying things around and holds the view that children should be allowed to explore. It means that he does things to gauge our reaction to what he has done wrong. We have since revised our disciplinary measures against him. Some kids picked things you have arranged orderly and disorganized them in order to gauge your reaction. They also want to know whether you pay close attention to things you have organized yourself. It is prudent to call them to reorganize the things they have disorganized and guide them to arrange them orderly. Don’t pack things your kids have disorganized yourself. 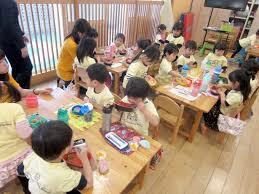 Give them the time to do so and gradually but slowly they would stop disorganizing things in the house. Because they would know that if they get stuff scattered, they would be the same people who will be called to arrange them. Even though we consider the formative age as a critical learning stage, we should not allow them to unnecessary and woefully keep destroying things in the home in the name of “learning”. After all, you are keeping the things in trust for their own use. Adopt the appropriate disciplinary measures to correct your kids if they fall foul of the rules in the home. Share your approach in dealing with this type of behaviours with others. THEY TAKE NEGATIVE INITIATIVE YOU HAVE NOT ENGAGED THEM TO UNDERTAKE. We love our kids to take positive initiative and become creative in order to bring about change. However, it’s crazy, if not annoying to see some of these things kids do. They can intentionally do some of the negative things in the home just to test your reactions and possible punishment you will give them. One day, my second daughter, Christy, invited two of her female friends to the house when my wife and I were absent. They took the cabbage and the chicken the mother wants to use to prepare the evening meal. They ate everything but foolishly left the plate unwashed. My wife came back from town to prepare the evening meal only to discover the emptiness of the grocery cabinet and the absence of the chicken from the freezer. We call her and gave her a serious warning about this deviant behaviour. I don’t know your situation as a parent. Have you observed that as soon as you tell your child that you need some time alone, that is the time he or she would appear to need an urgent attention from you? What do you do in this case? What I normally do in my case is to refer them to the common rules governing the home. One of the rules is respect for individual family member’s privacy. Anytime any member wants to be left alone, the person’s right must be respected. I urge all parents to have a rule governing the home so that we can refer to them with regards to matters governing the home. I know some parents who believe we shouldn’t given rules for their kids to obey. But I disagree with that position because we are training our kids to fit into society. You and I know that society has rules that it expects the citizens to obey. Hence, my position to disagree with proponents who hold the views that there shouldn’t be rule for our kids. You can write directly to me on info@parentrens.com and I would get back to you as soon as possible. Previous IS PARENTING A BLESSING OR A CURSE? Next IS PARENTING A BLESSING OR A CURSE?